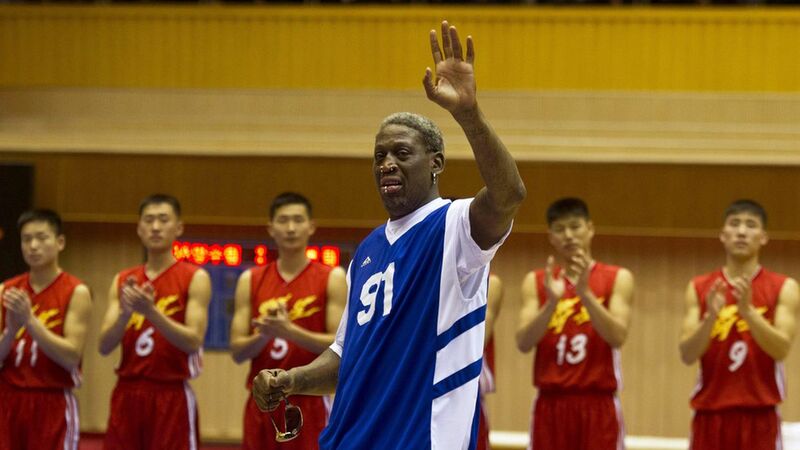 Former basketball star Dennis Rodman is heading back to North Korea, CNN reports, citing North Korean officials. CNN spotted Rodman at Beijing Airport. He has visited North Korea at least four times. He is one of few Americans to have close contact with Kim Jong-un. The Trump connection: Rodman was once a contestant on The Apprentice (Trump fired him over a project in which Melania Trump's name was spelled wrong) and endorsed Trump's presidential run. The context: North Korea has held repeated missile tests since Trump took office, Pyongyang and Washington have exchanged threats, with Trump vowing to "deal with" North Korea if necessary.